When you think of Norway, you think of breathtaking landscapes, Fjords & Trolls, you rarely even hear travelers talking about the countries capital Oslo. Why?! Before we flew out I did my standard search for fellow blogger recommendations and top tips for my stay, and yet I was able to find very few blog posts. The lack in my ability to research and plan left me thinking Oslo must be quiet dull and unappealing, how wrong was I! 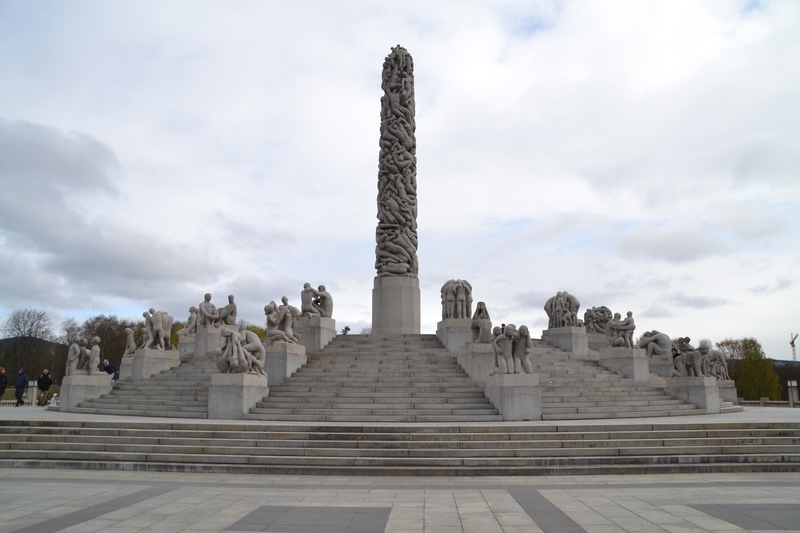 Oslo was so much more than I expected. This beautiful, eco city was a world away from the cliche capitals of Europe. The city is bursting with history and culture, and Oslo is most definitely the quietest and most underrated gem I have had the pleasure of coming across. 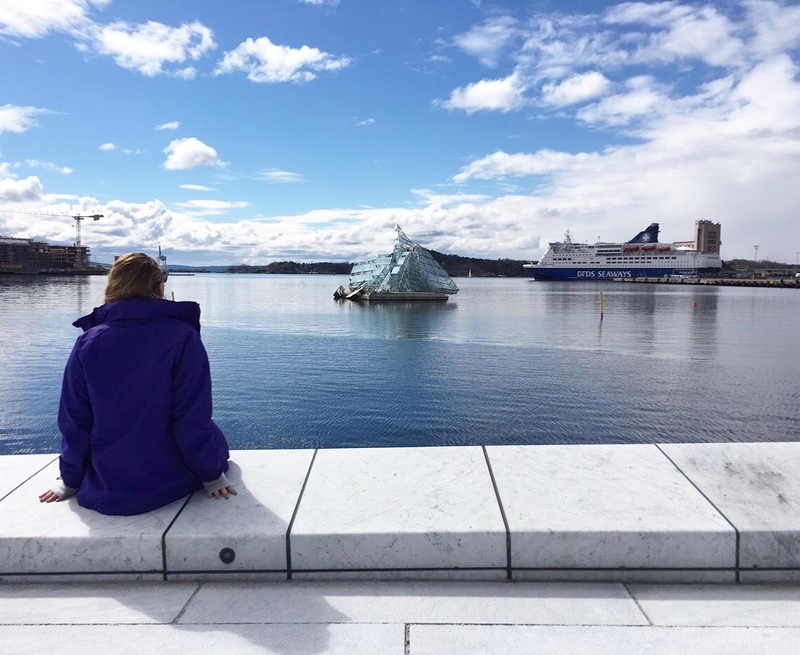 Here new architecture and design meets classical Norway, and after just over 48 hours in the city, I share with you my top tips for Oslo. 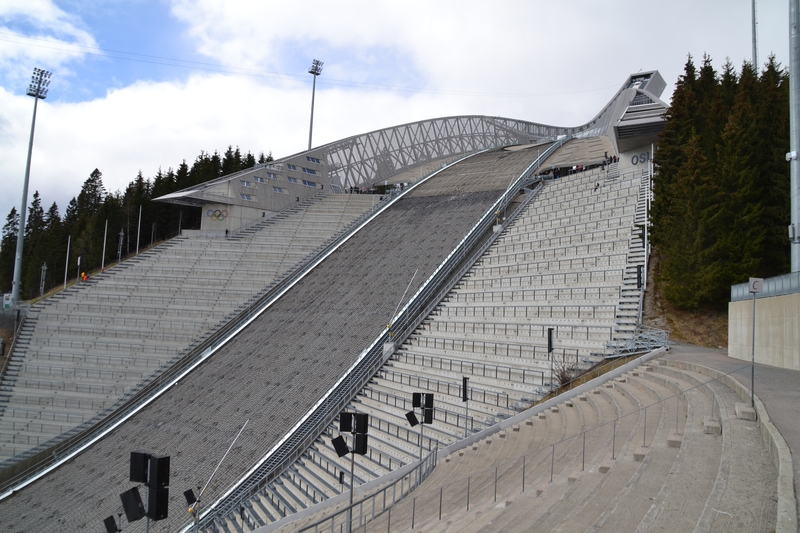 Holmenkollen Ski Jump has housed skiing for over a century and is one of Norway’s most visited attractions. 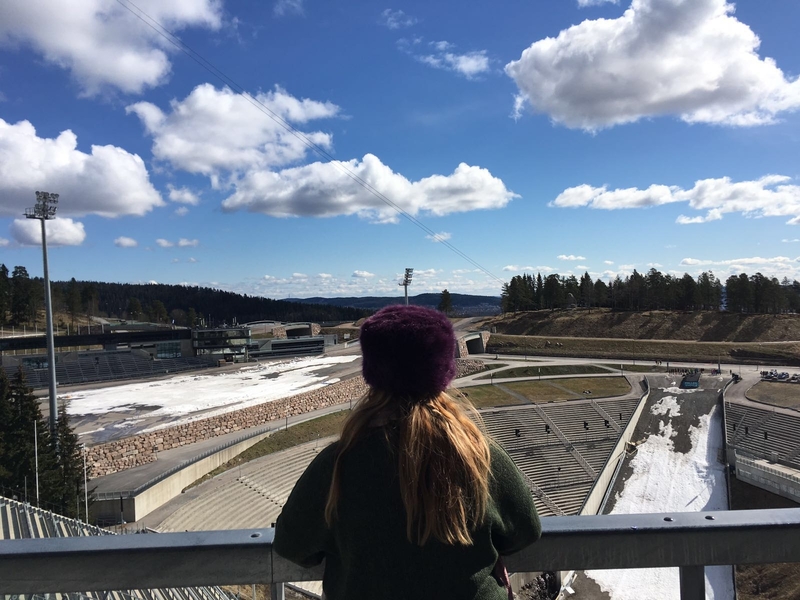 In 1952 Holmenkollen was host to the Winter Olympics, inside the ski jump you will find the ski museum, the oldest in the world, here you can immerse yourself in sports history. 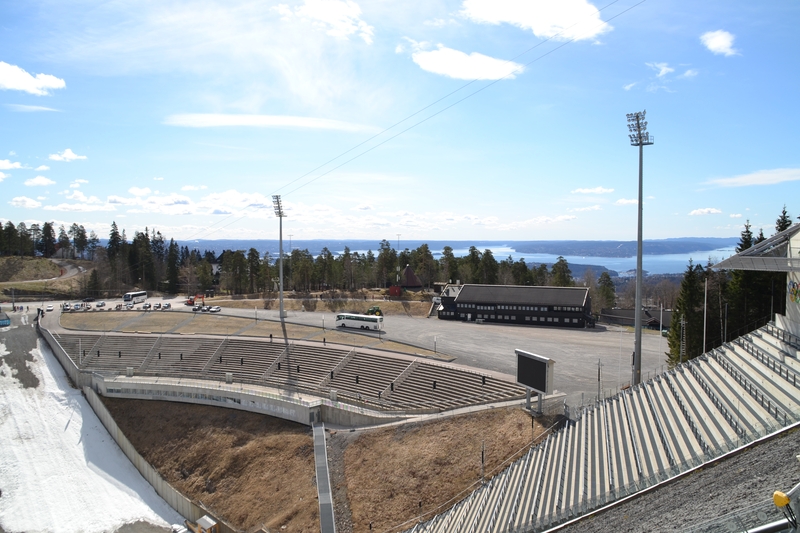 Holmenkollen Ski Jump itself is free to visit, take time to climb the steps and enjoy the breathtaking views of Oslo visible from the observation deck. Getting to Holmenkollen from Oslo central is simple, take a Zone 1 metro ticket and enjoy the views as you head up the hills, jump off directly at the attraction. Metro tickets cost 70Nok (£5.60) for a 24 hour pass and can be used on buses, ferries & trams, along with the metro. 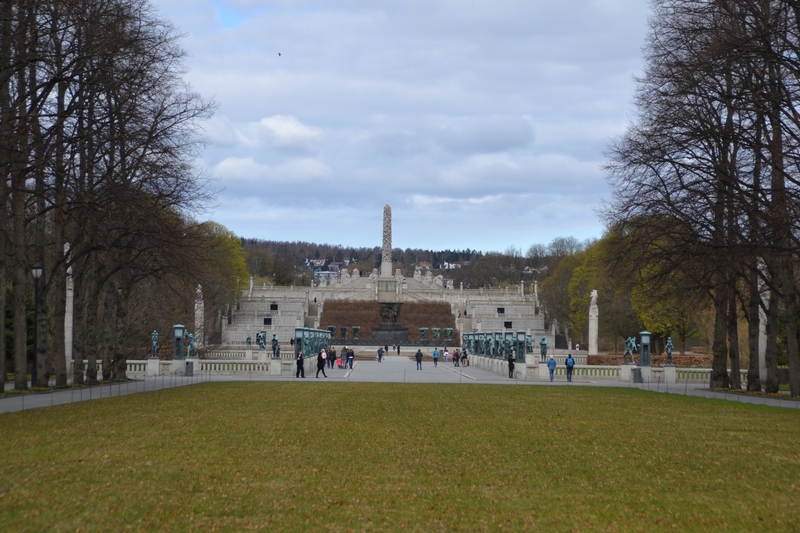 Vigelandsparken is a sculpture park situated within Frognerparken (also referred to as Frogner Park) and is named after the artist who designed it Gustav Vigeland. More than 600 sculptures stand in the park, with the most famous being the Angry Boy. The central attraction ‘Monolith’ is the largest of all sculptures and is made up of more than 200 models! The model reminded me soo much of the statue ‘Magic is Might’ from the Harry Potter series and I’d love to know if J.K Rowling got her inspiration from here! The park contains a little cafe and is accessible by metro, or the city sightseeing bus. Tip: check out Geocaching, there’s so many surrounding this beautiful park. 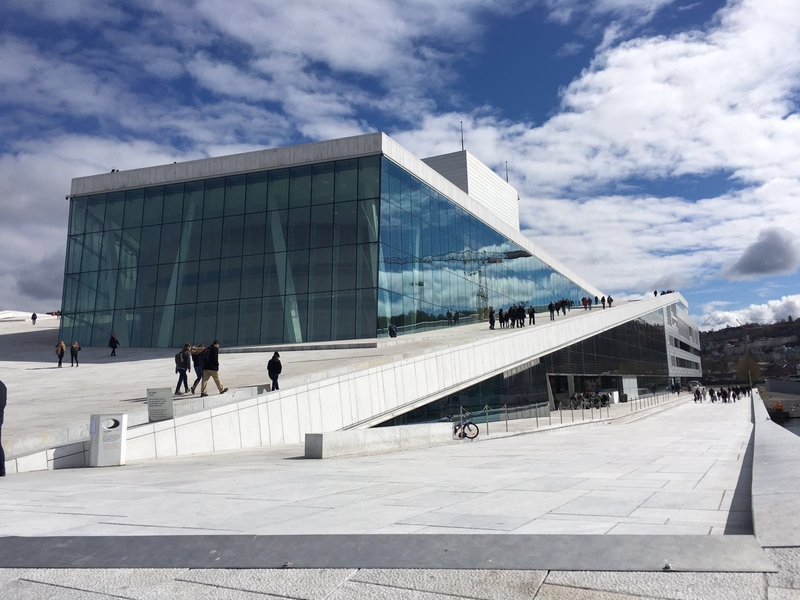 Operahuset, or Oslo Opera House in English, is one of the most mesmorising buildings I’ve ever visited. The angled exterior surfaces of the building are covered with Italian marble and white granite and make it appear to rise from the water. The building is spectacular and the internal is just as breathtaking as the exterior. Check out what shows are on whilst visiting the city and enjoy climing to the top for perfect views of Oslofjord. The front of Oslofjord is busting with restaurants, bars & street vendors. 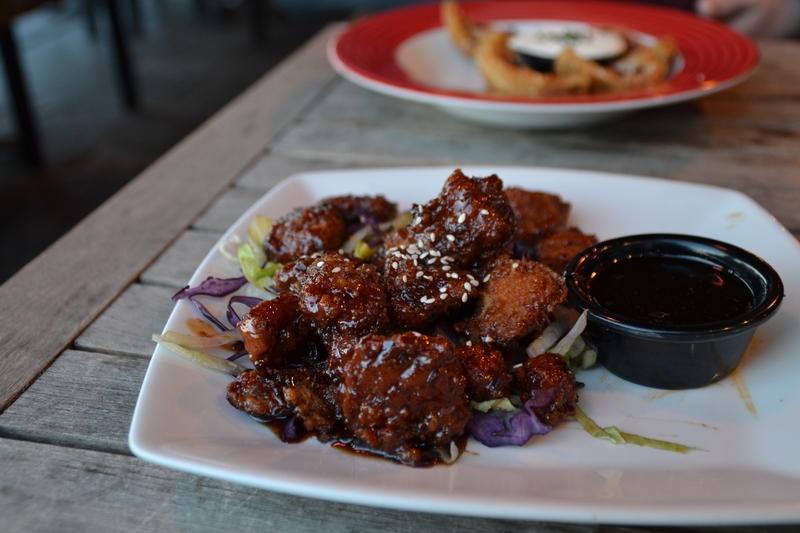 Why not try the local Reindeer? 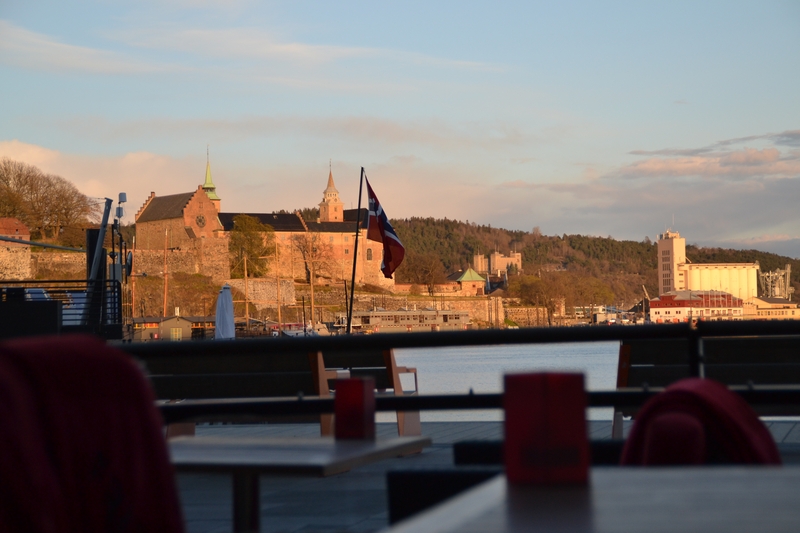 Fancy something central, then check out the restaurants surrounding Karl Johnas Gate, the Oxford Street of Oslo. We spent 2 nights with Thon Hotel Munch and were not disappointed, the chain is the answer to the UK’s Premier Inn and provided all we needed for our 2 night break. Inclusive of a breakfast, we paid a total of £122. Getting around in Norway could not be easier. Our return flight from Manchester to Rygge came in at £36 return with Ryanair. Once landed in Rygge we hopped on a shuttle bus which took us directly into Oslo city center. When returning to the airport, we jumped on the train. 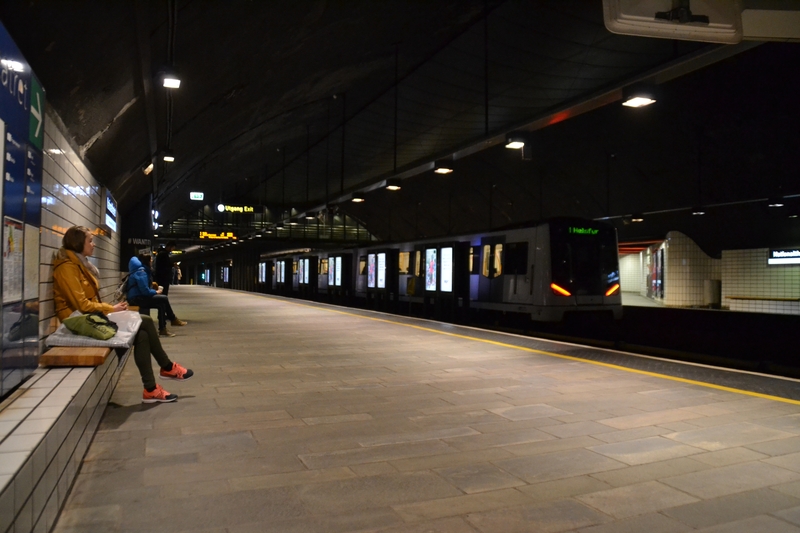 Trains leave from Oslo center every hour and take you directly to Rygge, here we jumped on a shuttle transfer, the price is included in the train fair. 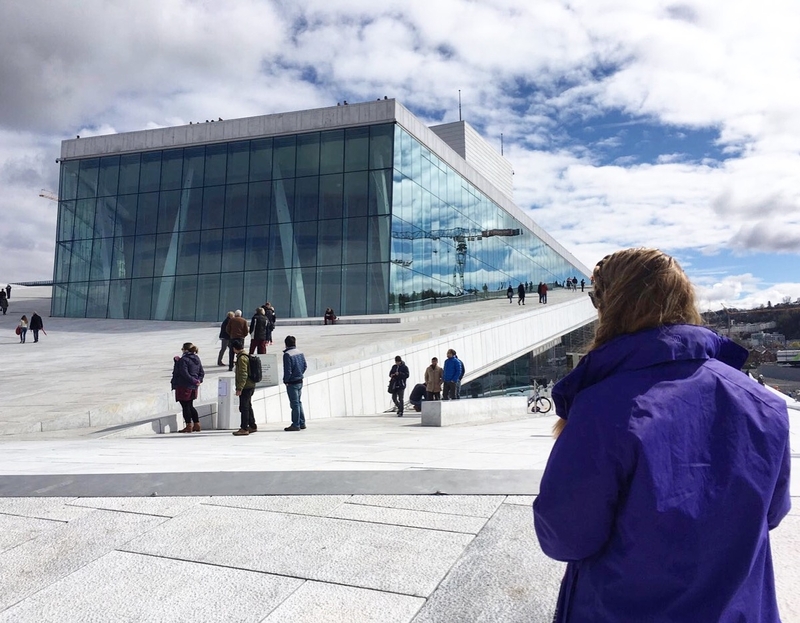 Are you planning to visit Oslo soon? Share your tips below! Find more pictures from our trip here. Good write up. I enjoyed Oslo when I visited disputed it being quite expensive. It looks like such a cool city, hopefully it gets people talking about it. I hope to go there soon. I’m glad you enjoyed Oslo, Rebekah! 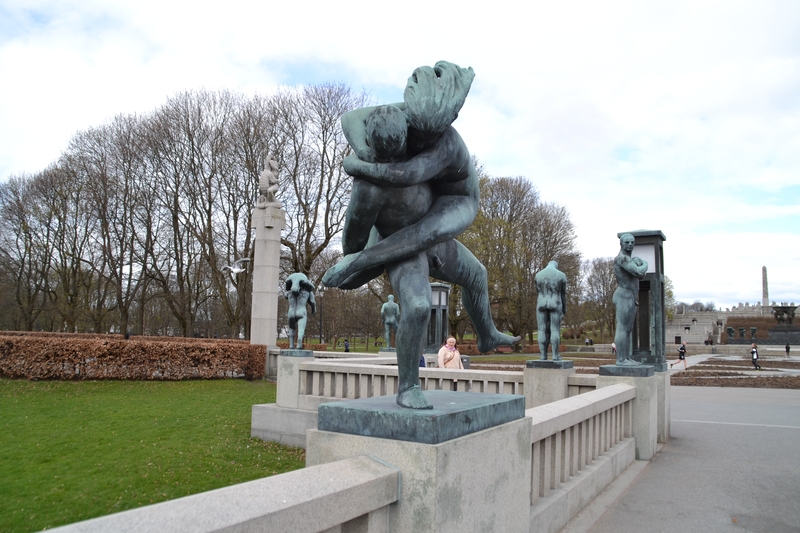 I’ve never drawn the connection between the ‘Magic is Might’ statue and ‘Monolitten’ in the Vigeland Park before, but they sure are similar!